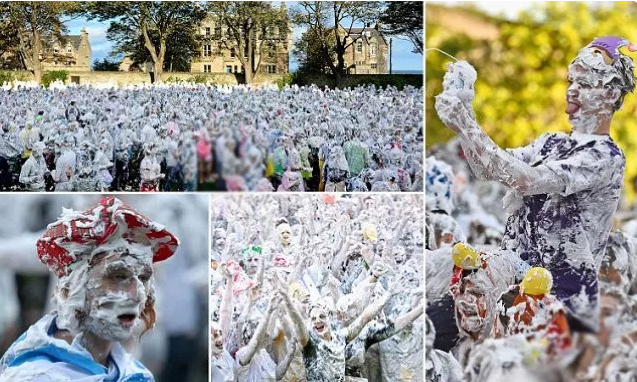 St. Andrews University in Scotland is one of the strangest annual festivals, the "shaving foam" festival. 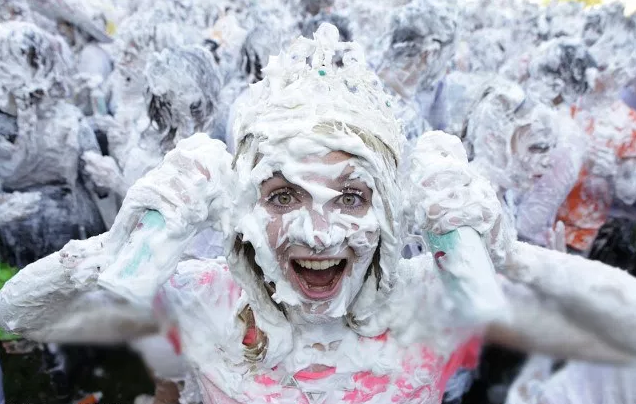 Where thousands of students flock to shaving foam as part of a 600-year-old ritual at the oldest universities in Scotland. 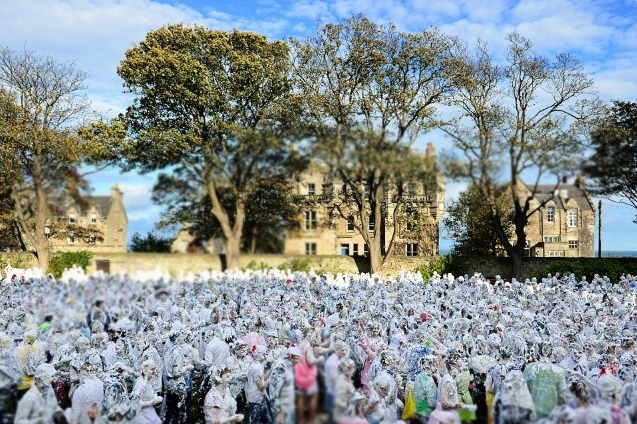 The festival was called "two raisins" because the new students were offering raisins as a form of gratitude to the old students to help them adapt to their new university life. In return, they were given a written receipt in Latin. 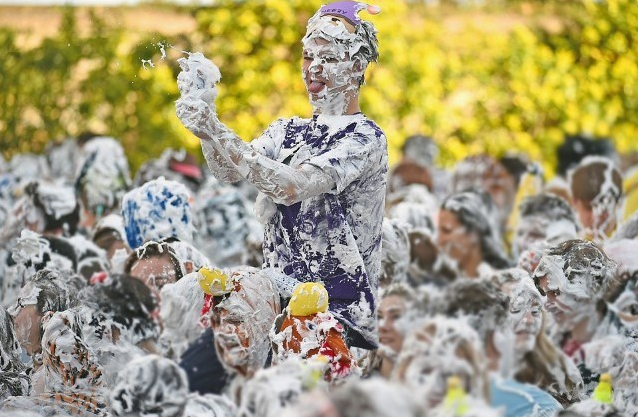 The origin of this rite that occurs every year is still a mystery, but it is a great way to start an enjoyable college life! 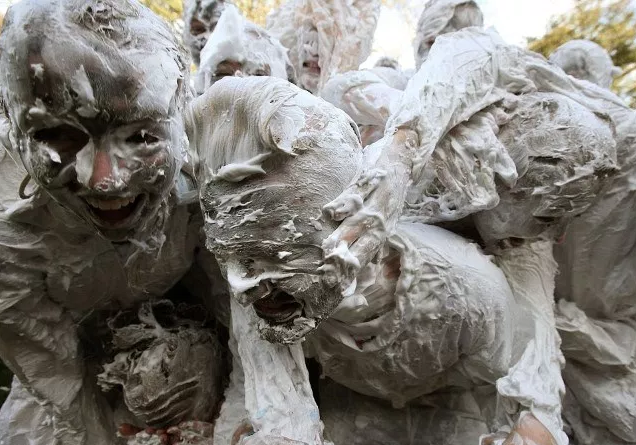 Students who do not attend raisins have been punished by immersing them in a water fountain, but today the punishment is the battle of foam. 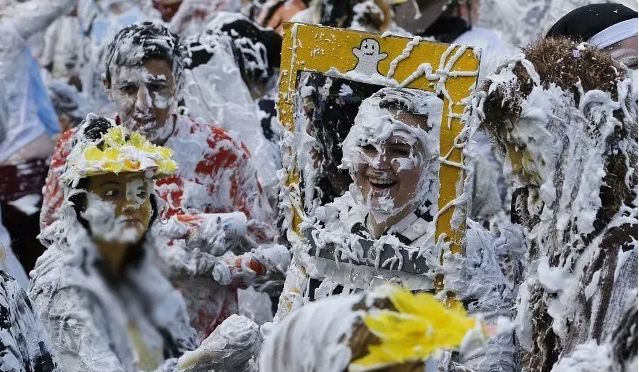 Where students go to university wearing fancy dress to enjoy the festival. St. Andrews is the oldest university in Scotland and was founded in 1413.